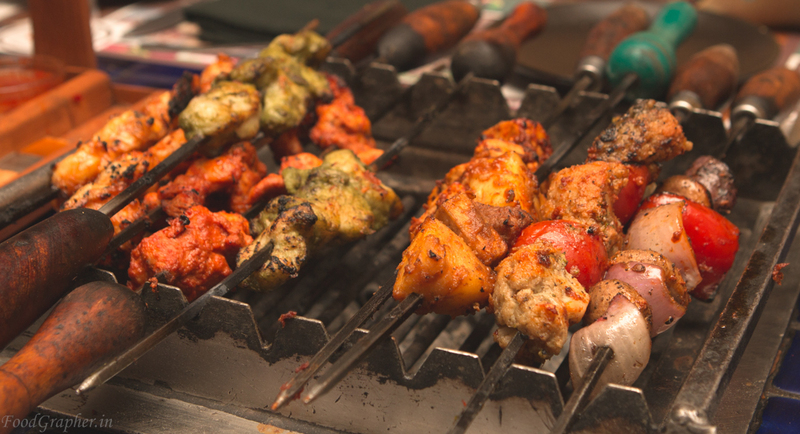 The entire city has been to Barbeque Nation and has tried and hogged on the starter grills. So what’s new about it? Chef Pat Chapman, fondly known as the Curry King in UK, is here at BN setting fire to the grills with marinades from around the world. He is touring various BN outlets in the country. When he is in an outlet, not only does he merely visits, but also gives live demo on how to prepare a few quick and easy marinades from around the world. 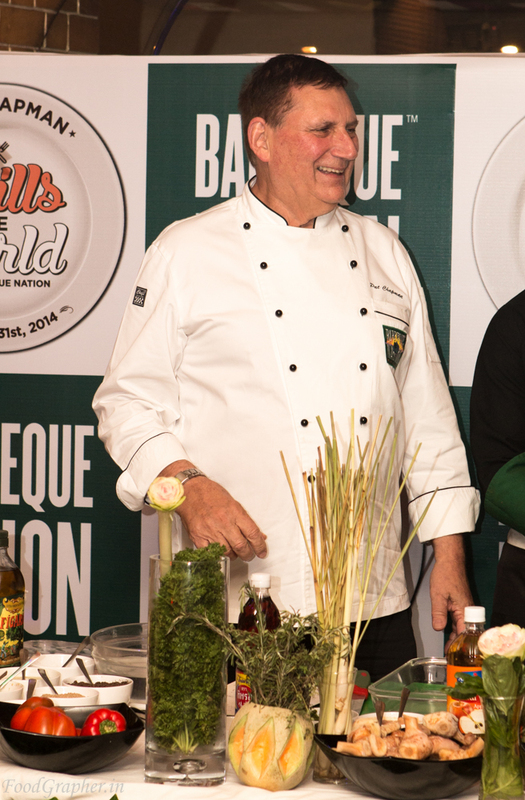 I got a chance to meet up this 73-yr old spice master, inquisitive enough to know why was he the Curry King of UK? Story is that, Chef’s ancestors has been here in India during the British Raj and while they were here, his granny learnt the Indian curries. These recipes were handed down in the family and Chef took more than just a liking to the recipes and embarked on his own spice journey to become the Curry King. Now coming to the marinades, the fest has about 14 marinades from around various regions of the World such as Yorkshire Marinade, Worcestershire Marinade, Indonesian Bumbu Kacang, Jamaican Jerk Marinade, Aztec – Mole Poblano Marinad etc… I got to sample quite a few of these marinades on chicken, prawn, fish, paneer, mushrooms and also EMU. Few marinades tasted entirely new and delicious. These indeed have certain ingredients that are region specific. My favourites from the lot are the Hot Mai Thai fish and the Valencia prawns. I’m a seafood fan and these new additions just had me hogging down more prawns and fish than the chicken and emu. From the vegetarian side, I loved the Aztec Pobalno paneer and the pineapple and sweet potato skewers. So you wanna taste the new marinades? The fest is on till 31st Oct’14. Head over there and treat your taste buds with tastes from around the World. 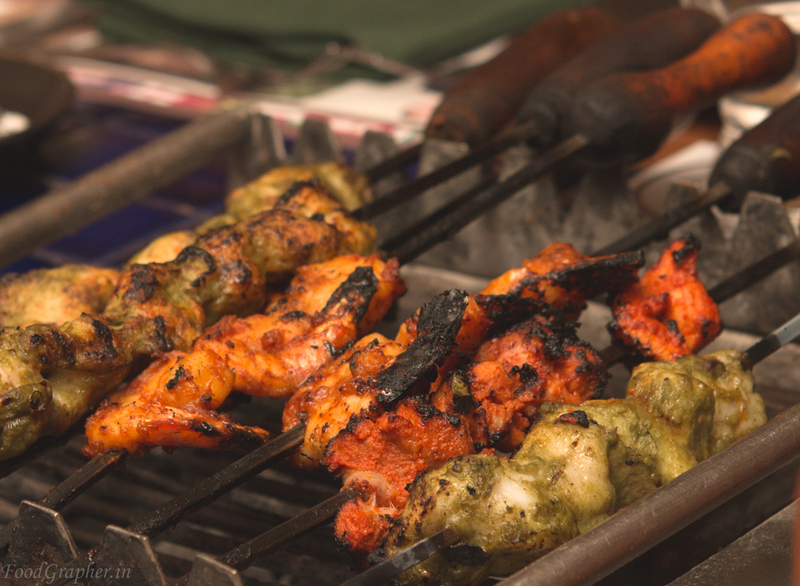 This entry was posted in Asian / Pan Asian, Indian, Lebanese, Non-Vegetarian, Spanish and tagged barbeque nation, bbq, bbq nation, chapman, grills the worlds, hot mai thai, mai thai fish, Pat Chapman, valencia prawns. Bookmark the permalink.